#SunnyvaleCA My name is Dr. Tropea and I want to help you, the folks in and around Sunnyvale to deal with your troubling mid-back pain. I am a chiropractor in Sunnyvale, and I see literally hundreds of patients who have many kinds of mid-back pain on a daily basis. I have seen many of these folks, even those who have been disappointed with traditional treatments and can help them to finally get rid of the pain that is keeping them from living their best life. What Can Cause Mid-Back Pain? There are a number of causes of mid-back pain, trust me, and I have seen a number of these cases in Sunnyvale involving all of these causes and treated them effectively. Mid-back pain is one of the most common back conditions and can be seen in both male and female patients. Whether your mid-back pain is caused by accidents, poor posture, strain, disc degeneration or abnormalities in the bones or joints that let your back become misaligned, it can be treated. As a chiropractor in Sunnyvale, I specialize in the treatment of these muscular and skeletal problems, including the vertebrae. 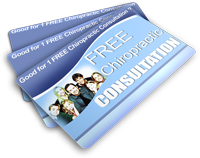 I can also help you to learn to effectively manage your pain. You will have scheduled treatments at my office in Sunnyvale. I will help you to regain your flexibility so that you do not have to live with pain. You do not have to live with mid-back pain of any kind in Sunnyvale any longer. You have other things to do, after all, and should not have to do them with pain and immobility because of mid-back pain. Visit me, Dr. Tropea, at my Sunnyvale chiropractic office and get the relief that you need and deserve right away.